How I saved over $1000 on my refrigerator. How Reaserching Before Shopping Saved Me Over $1000 on my Refrigerator. Do you research prices before you go shopping? I usually do a little bit of research before I go shopping and if I am buying a big ticket item, I do a deeper research on the different prices in the market. It is incredible how much a person can save on one single item if they do their homework before going out and spending thousands of dollars on something. We need to replace some furniture and appliances in my home and one of the big items we need to replace is the fridge as ours has proven to be too small for us, not to mention that we have been having issues with it for a little while. 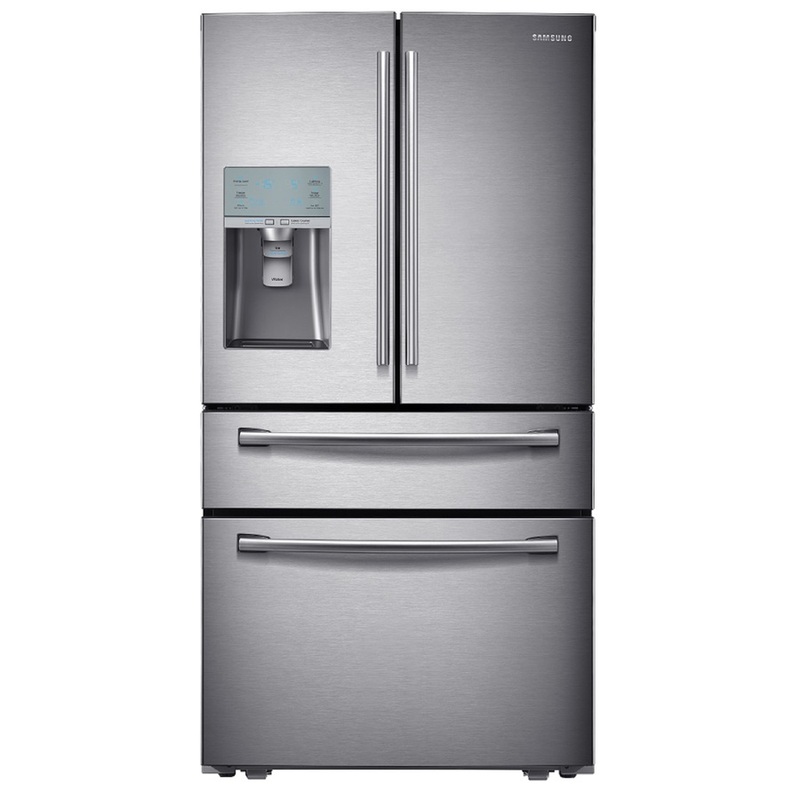 So this Labor day weekend, my husband sent me a link to the Brandsmart website where they were featuring the Samsung RF31FMESBSR/31.0 CuFt Stainless Steel 4 Door French Door Refrigerator. This Samsung refrigerator had a SRP $3,799.00 and had a discount of $1,799.12 which meant a sale price of $1,999.88 which in my opinion was a great price, so after bugging my husband all Saturday, he finally decided to go with me and check out the fridge. After being in the store for a few minutes and looking at other refrigerators, we agreed that this price was a great deal and purchased the Samsung refrigerator ( note – they offered 24 month 0% interest financing on this unit). So, we ended up paying $2278.75 and that included a 5 years extended warranty. My husband didn’t really want to buy a fridge or spend that much money right now, but as he said, “It’s such a good deal, we have to buy it”. Sunday afternoon we had to go to Home Depot and Lowes to purchase a couple of things and decided to take a look and see if we could find our new refrigerator in those stores to make sure we got the good deal we thought we got. Sure enough, the Samsung RF31FMESBSR/ 31.0 CuFt Stainless Steel 4 Door French Door Refrigerator was available in both stores…Home Depot has the same refrigerator on sale for $3,108. While Lowes had the same refrigerator for $3,798…that is a HUGE difference between the two stores and about double the price if compared it with the price we got from Brandsmart. Would you do some research and price comparison next time you go shopping? I know I will! This post is based on my personal experience and NOT in association of any of the brands mentioned here. My opinions are my own and by no means influenced by anyone else. « Your Girls Will Love The KidCuteTure Nia Tunic And Legging Set! Wow! You got a great deal, and it’s beautiful. I always do as much research as I can for big ticket items before making a purchase. Oftentimes, I will spend hours doing this, and find a good deal, and my husband will spend 20-30 minutes and find a better one than me! What a deal! I love when hard work and patience for looking into things can offer to you the benefit of saving money. It feels like such an accomplishment! It makes the time invested at the end all worth it!